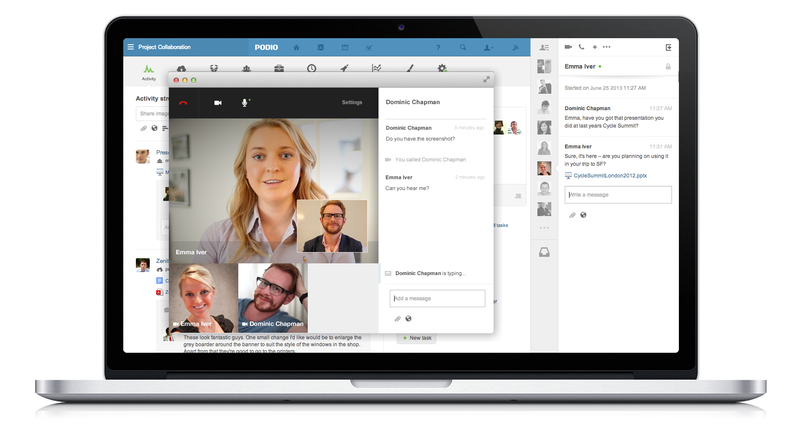 Podio, Citrix’s online collaboration platform service, officially rolled out its video and audio conferencing technology for all its users. The addition of video communication to the platform enables users to speak with their colleagues and other collaborators in real-time to square away any questions. The Skype-like service will save the chat history within Podio, making it accessible at any time. Furthermore, the new feature allows parties to share files with each other from within their voice chats. Content content to be shared from Sharefile, Google Drive, Sugarsync, Dropbox, Box, and several other services. The launch of voice and audio chat was announced in May, but it’s taken the past couple of months to get the platform ready for the features. Podio says that teams can ask questions, share updates, or discuss their projects in real-time, with the hope being that they’ll work together better on assigned tasks. The video feature is powered through GoToMeeting with HDFaces, another Citrix product. 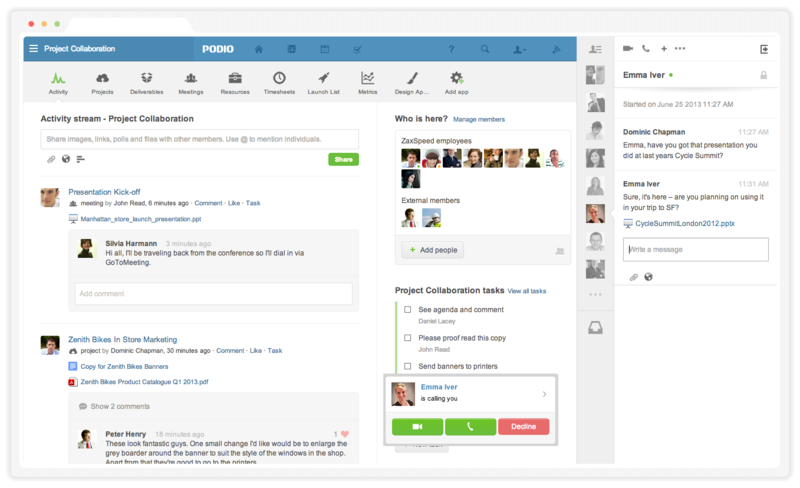 The addition of video conferencing within a collaboration and productivity platform gives Podio a somewhat unique advantage over industry leaders Yammer and Salesforce Chatter. Neither of these companies appear to have a built-in product. Yammer does support this feature, but only through its integration with Fuzebox. Setting up a Podio video chat session requires at least two steps: click on the video icon in the Podio Chat panel and download a plugin in your inaugural use. Then, initiate a call with anyone in your chat list, where your contacts are shown based on the Podio users you share Workspaces with. While the video conferencing capability works well for Podio, it’s advantage could be fleeting. After all, Yammer, now that it’s a Microsoft-owned company, could easily integrate itself with Skype (albeit this is speculative), a service with millions of users and something the average individual would know to use for a video chat.